“What a party, eh! Those barneys sure know how to throw one, and the antics of that professor, what was his name? The one with the moustache? Ah who cares, anyways, hell of a party, and then some. Of course, most of it lies quite dead in your memory, as you blacked out somewhere halfway, a short while after someone brought in some home made drinks, created in his lab while the supervisor wasn’t looking, then kept running under pretence of biological experiments! Applejack, that’s for sure! Now its The Next Morning. You vaguely remember someone shaking you and shouting about an appointment at the Anomalous Materials lab. After having ignored them for long enough they left grumbling something about having to find someone else to do it. 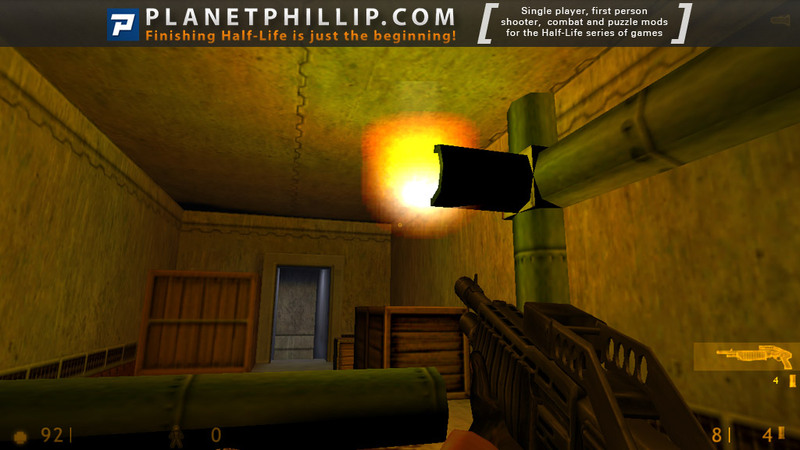 Copy all the maps folder into your Half-Life/Valve folder. 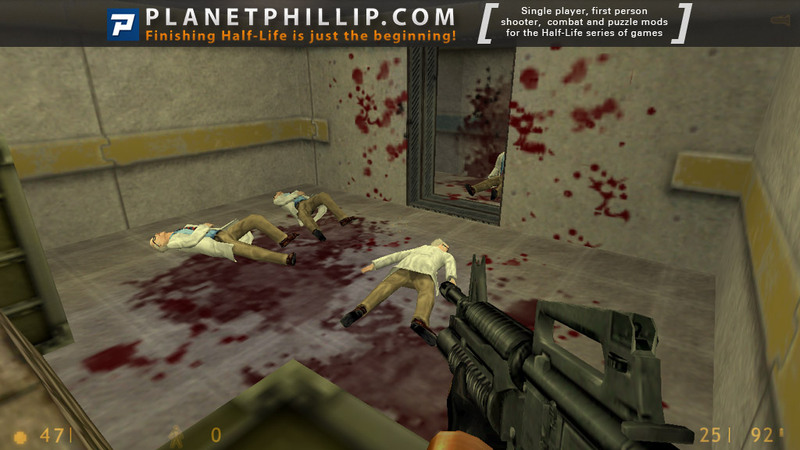 Copy pmcust.wad into your Half-Life/Valve folder. Open the console and type map pm00. 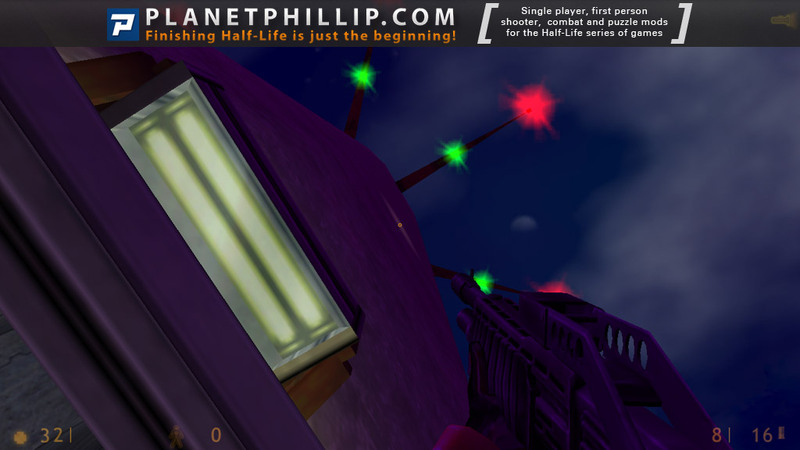 Played ok, good mix grunts and aliens, design ok if a bit boxy, yet another part 1 to a game that never was finished. No end level. Shows promise. The few maps are enjoyable. Comes to an abrupt end. Unfinished. You know, sometimes it’s the little things that make all the difference. In this case it was one level change. On a corner, right in the middle of a firefight. Never, ever, put a level change in the middle of a fight. 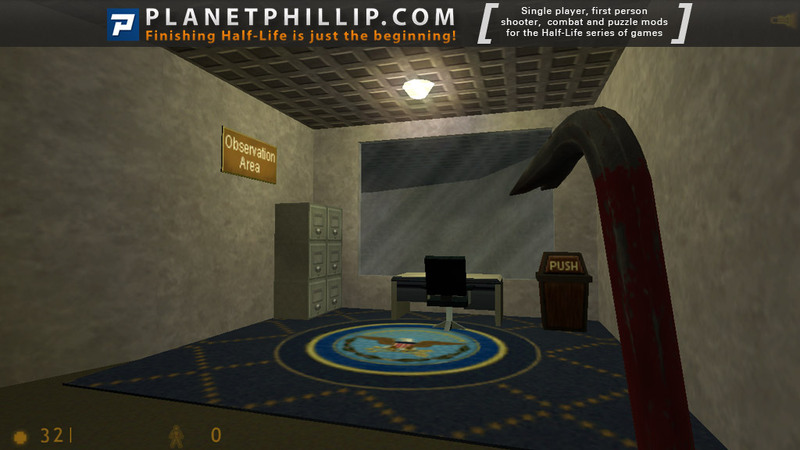 Of course, this was made 11 years ago, but still! Anyway, it was quite fun but nothing special. Probably too many fights that you could sit out and just watch the action, then walk in a kill who or whatever survived. Last level didn’t load for me, but I believe it’s just a room with writing on the wall anyway. Manually loading didn’t work either. Fun for 10 minutes or so, but definitely don’t stop what you are doing to play it. Talking about early mod, wow. 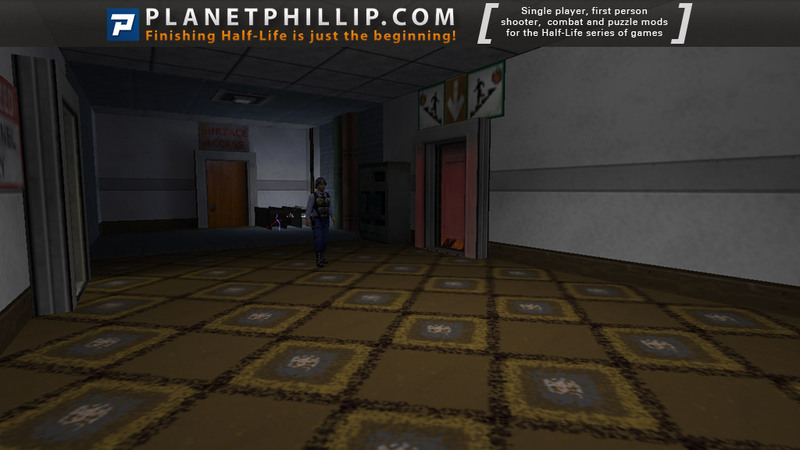 I think that mod had nice beginning, that first room wasnt so bad, nice scene. And second room gives another surprise. Overall mapping isnt so great, but I like those little details here and there. All the hallmarks of an early set of maps by an early author, plenty of action, some you could elect to sit out, but I did like the early seen with the two zombie, you could entice them back up the stairs for Barney to finish off. Other then that, there’s nothing that memorable about this set of maps, can’t think of any reason to play it twice or any sequences worth repeating for fun. The design is basic and boxy from beginning to end, although the end map/seen does not load, I did not detect any improvement with mapping skills, but hope the author improves with his next offering. 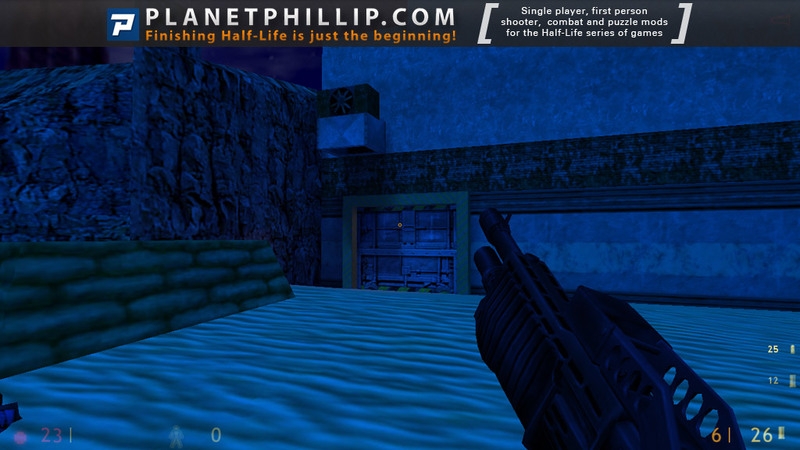 Play it by all means, it’s a classic example of unpolished early HL1 custom work. 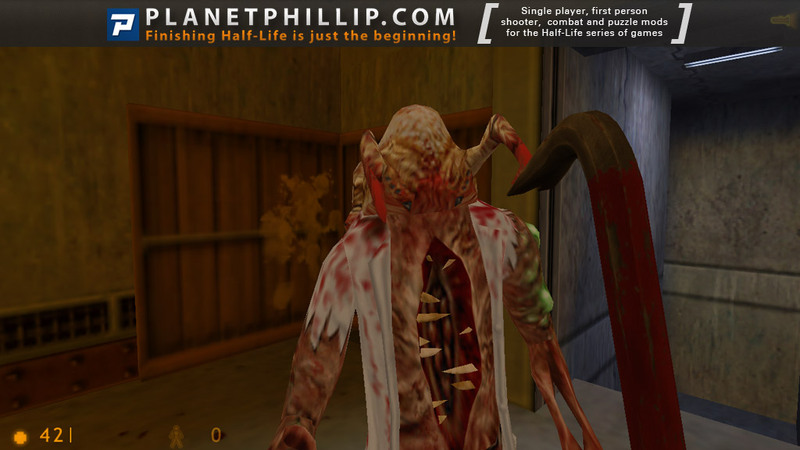 Well this may have been the first ever Half-Life single player pack I ever played. Unfortunately time wasn’t really kind to it. It’s early HL and it really shows. There’s basic architecture and some awful lighting. I like the basic layout and flow but overall it’s very rough around the edges. It does set up some 3-way battles which are always fun, although if you wait it out the enemies are really whittled down. I didn’t find any challenge in this set of maps at all. There are some basic puzzles here but nothing more complex than hit the button to turn off the generator. It seems to crash on loading the last map but it doesn’t look like I missed anything. I did think of it favorably back in the day, but seeing how far we’ve come I can’t recommend this pack anymore. 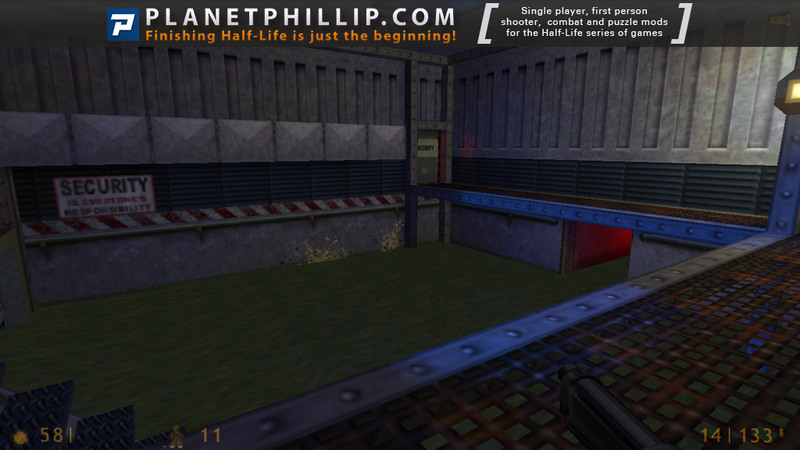 This mod is a reimagining of Half-Life. What if Gordon was drunk and couldn’t run that experiment, so someone else had to do it? We wake up in the dormitory and go to the surface. 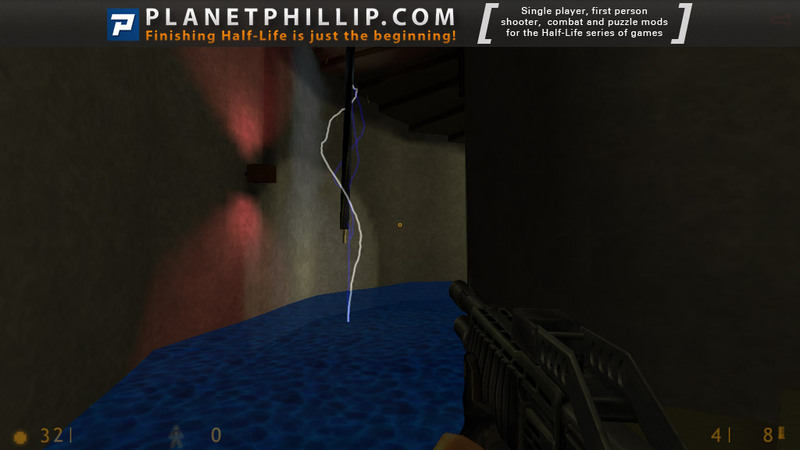 By the author’s version, the dormitory is located in a tower, so in this mod we reach the surface by going down, not up. The design is simple, but very diverse, which makes the simplicity much less noticeable. The usage of env_sound aids the atmosphere. The turning off a generator is quite spectacular. The enemies are aliens and soldiers, they fight not only us, but also each other, so at times it’s better to wait. At the end there’s a nice night outdoor area. 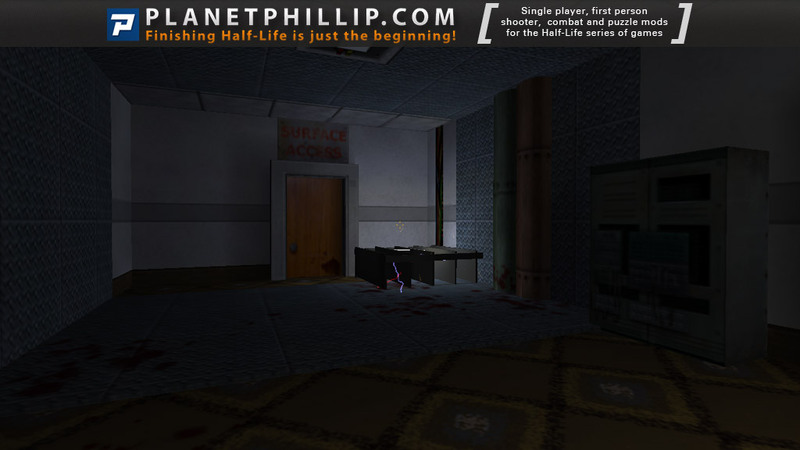 The last map is a simple box room, there’s a writing on the wall, something like “Well done, you completed part 1, part 2 is on the way”. There’s something wrong with it, so I could get to that map only from the second try. At the first time, the game crashed. After the change, the player is rotated 90 degrees, so reading is not very convenient. All in all, it was nice short entertainment. This is an ok mod, I think because is a part 1 it feels like cut in the middle of something important, I mean this is over as soon as u get out to the surface, and that’s why I can say this feels like it has no end, to me in the last part when i’m out of the surface, and I try to keep moving the game just crashes in the last loading charge, the game just stay muted. Another fun action map with a few puzzles. The action was fun but the puzzles were very poor. 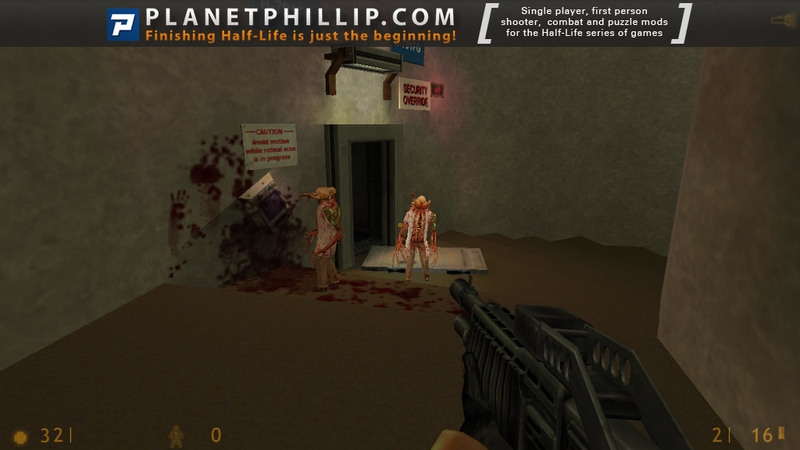 The game play was a mix of both grunts and aliens and also resulted in them fighting each other on some occasions, which was nice too see instead of them constantly pounding you. 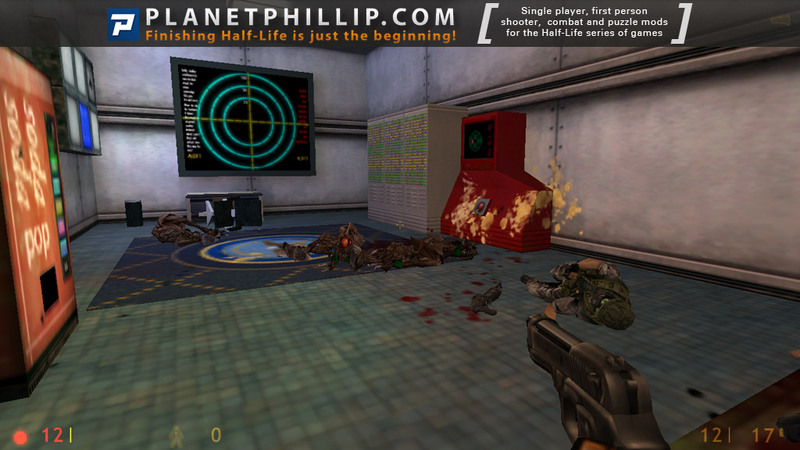 It was obvious that this was an early HL mod and had some mapping flaws. I won’t deny that I myself am still learning how to map and am a novice, but some of these things stood out. Mainly the lighting, especially in the red stairwell. I’d also like to add that after a poor start, the 100SDoN has really started to get good, as evident from the last few entries. Not the worst so far but certainly not the best. It starts off almost like some get out of the jail mods but its seems very disjointed and the ceiling turret in the HEV suit room! Why was it killing the scientists, surely just by being there it should be defending them and the suit? 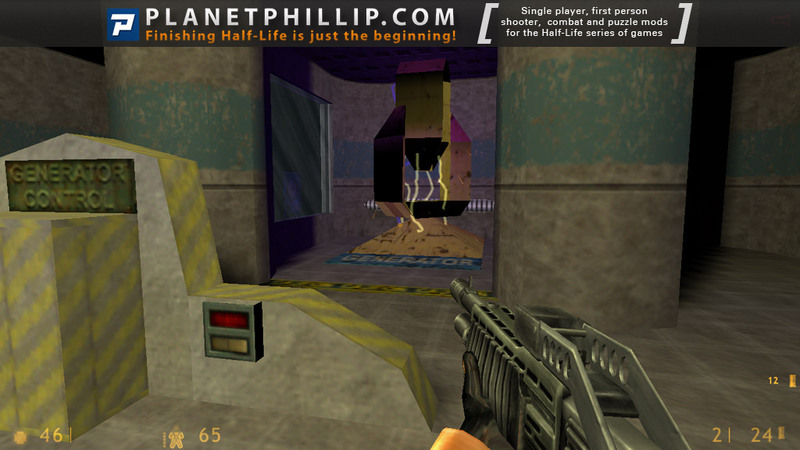 The look and the layout are about what I would expect of a mod/map that was made just a few months after the original Half Life was released, but by today’s standards its a little rough around the edges. Like some of the previous 100 days it’s playable but nothing to get excited about, if nothing else its a coffee break game. 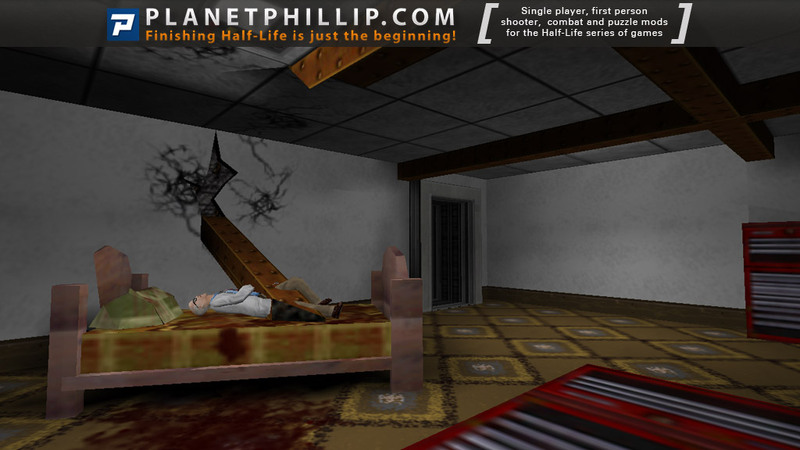 A pretty neat lil mod just like shortly after the Black Mesa incident. 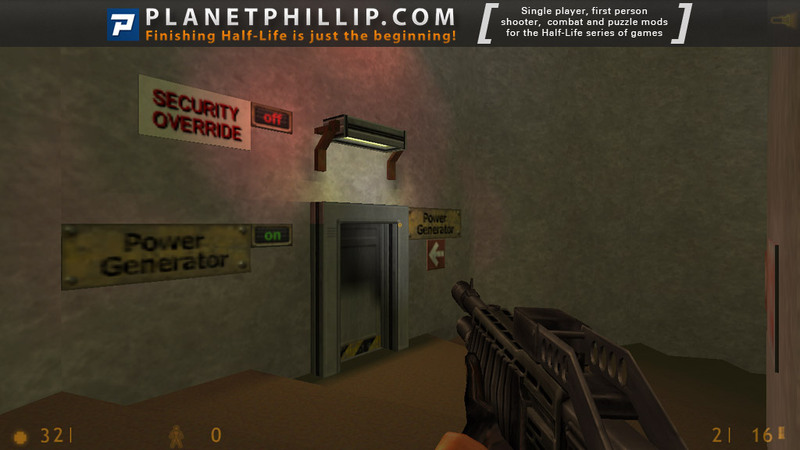 After producing some DM levels for Half-Life I believe, Promagnon has now moved on to single player levels and we should all be glad that he has. 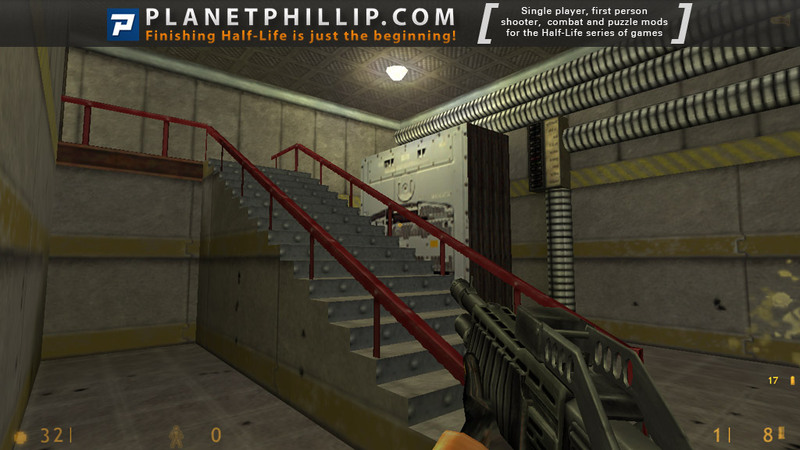 Here we have the largest user-created set of levels for Half-Life yet with a whopping eight maps and a few new textures included in the package. While some of the maps are ridiculously small, there’s still a lot of playing time to be had here and, thankfully, it’s great fun. It’s interesting to see that this unit and Infiltration were released at around the same time because they both represent quite a leap forward in quality for add-on maps and bode very well for the future. 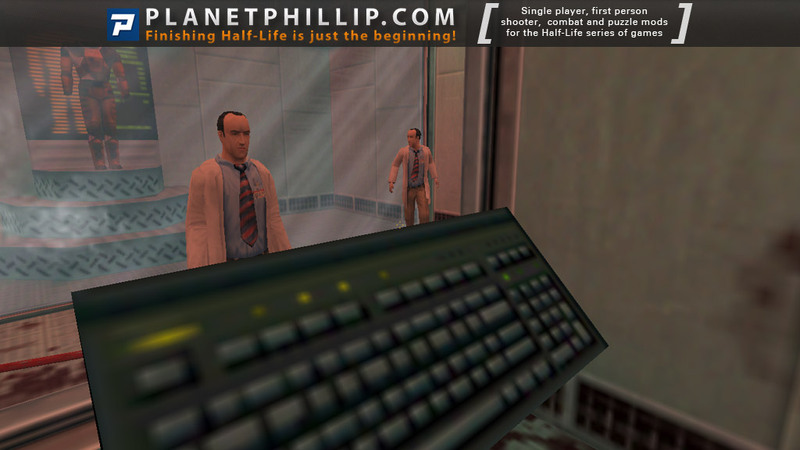 What’s most impressive about this unit is the way the Promagnon has coped with the scripting facilities of Half-Life. While Infiltration managed it on a small scale, here we have the first decent scripted events produced by a third party. The beginning is extremely atmospheric as you awake, surrounded by rubble, corpses and the groaning of the tower in which you’re trapped. 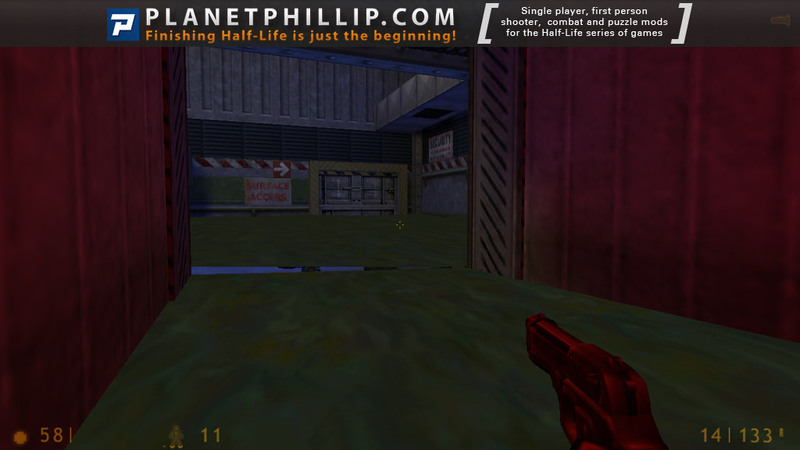 Promagnon evidently understands what made Half-Life’s single-player side so great and here he shows that he’s capable of emulating Valve’s quality. This review is republished here by permission and was originally published Thursday, 4th February, 1999 by Morgan. Not the best, and not the worst. Enemies are well placed, but it’s mostly aliens VS humans. Textures are nice, but not really great. Lighting is awful at most points, and I understand it’s made in 2000, but I’ve seen much better. The last level didn’t load for me, it crashed. I’m playing on the WON version, I don’t know what’s wrong. Overall, it’s a nice mappack. If you want some action, you might wanna try this map out.